St. john's Temple Senior Brass Band. 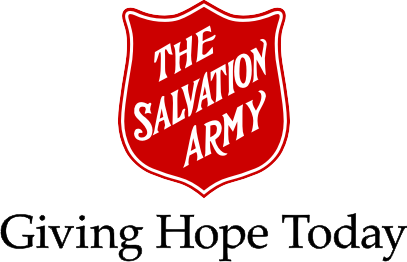 Just two months after The Salvation Army started in Newfoundland instruments were acquired for the first Salvation Army Band in Newfoundland. By 1900 the band consisted of ten brass instruments, one clarinet and three drums. Even at this early stage a high calibre of musicianship was evident with Adjutant Dowell, the corps officer at the time, stating that the band was the "talk of the city". The band became an integral part of the Temple's ministry. This importance was reflected in the purchase of a new set of Boosey Class A silver plated instruments in 1922. Accompanying congregational singing, playing at weekly Saturday evening open-air meetings on the waterfront, playing at the local penitentiary, and participating in the Remembrance Day Parade were some of the duties of the band. This integration into the ministry of the corps to the community continues today. The band provides musical support for services at a local senior home, hosts a Christmas fooddrive benefit concert, makes visits to local hospitals, and plays for the sick and shut-in. Musical development of the band has progressed steadily. The 1930's and 1940's saw the band play such selections as "In the Firing Line" and "Divine Communion". Both of which continue to be a part of the band's repetoire today and favorite corps selections. Another musical milestone was achieved in 1969 when the band performed its first Festival Series selection "Prelude and Fugue: Darwells" by Dean Goffin. Other challenging works were added to the repetoire included "My Strength My Tower", "Symphony of Thanksgiving", and "Light of the World". In 1981 the band was asked to participate in the centennial anniversary celebrations held in Halifax, Nova Scotia. Selections for the Saturday evening musical concert included "Symphony of Thanksgiving" and the cornet solo "Golden Slippers". Band retreats have provided an opportunity to focus intently on the music and fellowship of the band. At times we have also been able to have a guest conductor come for these weekends. Recent guest conductors have included: Mark Hall, Ron Holtz, David Gilbert, William Himes, David Chaulk, Brian Burditt, Robert Redhead, Phil Smith and Bill Himes.